Early season in cyclocross is like an introduction to a novel: hints are dropped about what we might expect over the next four months, but the full story has yet to unfold. 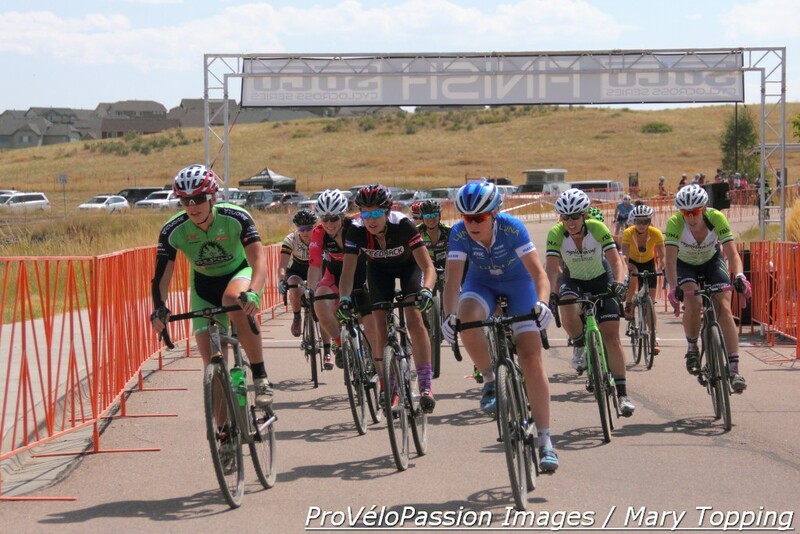 Sunday’s Rhyolite Park Cross, the second race on the Front Range, Colorado 2015/16 schedule, provided clues about the local women’s elite scene as well as tomorrow’s CrossVegas. In the women’s elite race at Rhyolite junior Ashley Zoerner (Alpha Bicycle Company – Vista Subaru) took the hole shot ahead of Georgia Gould (Luna Pro Team). Clue: the first minute of future starts might run exceptionally fast. 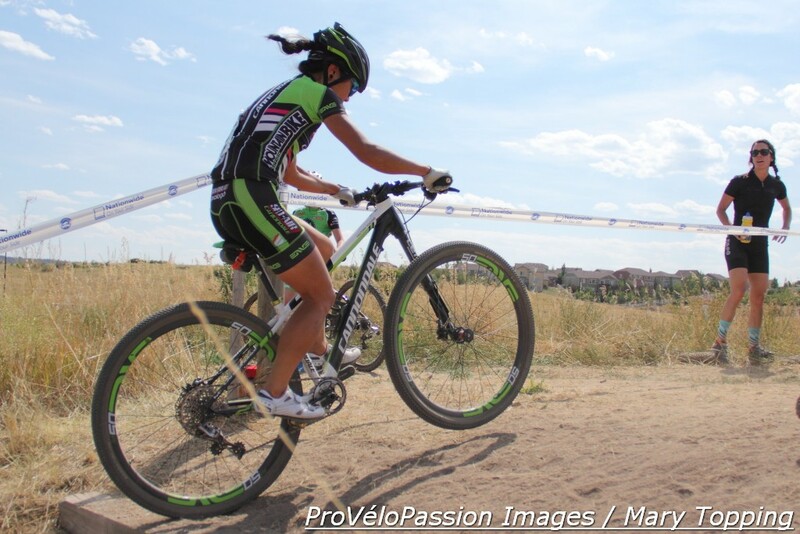 A new character appeared in the women’s field, mountain biker Evelyn Dong (Sho-Air/Cannondale). She scaled the long, steep run-up on her mountain bike where the others shouldered and ran. Her technical skills also appeared on off-camber descents with U-turns. Hint: perhaps Dong will add more ‘cross races to her mountain bike off-season. She’d be fun to watch. If she gets fourth at Rhyolite on a mountain bike, just imagine where she could finish with a ‘cross steed. Third from the front after a start following Gould’s wheel, Caitlyn Vestal (Feedback Sports) passed the Luna Pro Team rider at the end of lap one; word around course was Gould’s saddle had tilted up. She fought back after addressing the problem but Vestal won with a comfortable lead over Caroline Mani (Raleigh Clement Professional Cyclocross Team). Clue: Vestal may be on her way to a repeat of last year’s outstanding season. 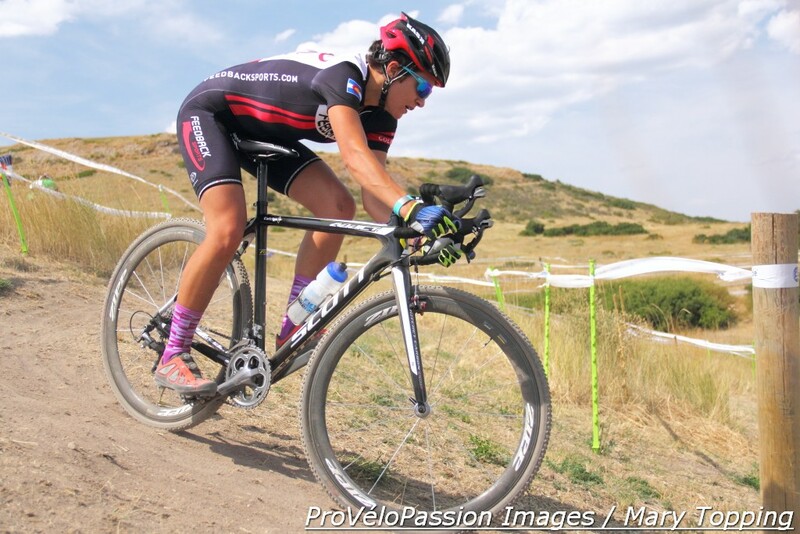 Vestal will race in the USA Cycling women’s open race at CrossVegas before the World Cup gets underway. Along with Gould, Mani will start the CrossVegas World Cup event. The French woman took the first turn at Rhyolite mid-field. Then she marched through the local elite amateurs and passed Gould, at mid-race greeting a spectator calmly. Clue: Mani is primed for a good performance in Vegas. Barker finished third. Boulder Cycle Sport’s Kristin Weber came in fifth after Dong and Gould placed sixth. Final clue: Strong efforts from Barker and Weber should keep things interesting. 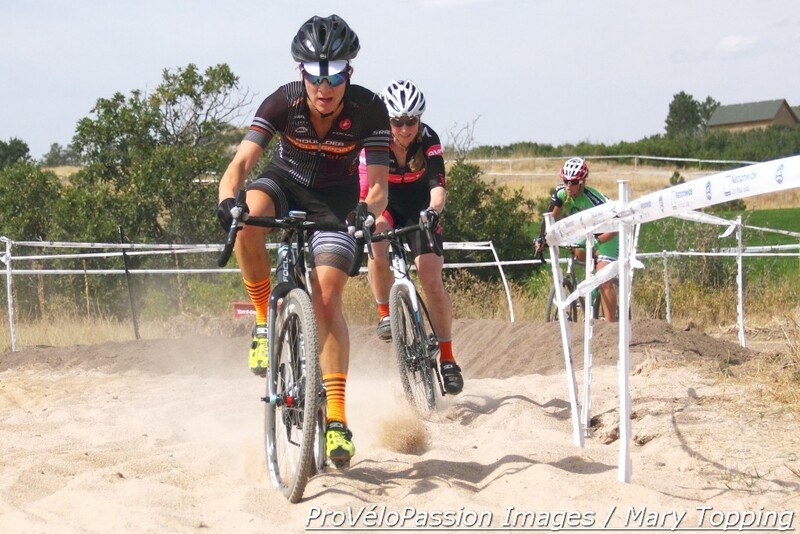 They finished second and first respectively in the women’s 40 to 44 masters field at Austin’s ‘cross nationals. For full results, see the Bicycle Racing Association of Colorado’s website.